Reason number 247,628 why I love summer? Panera’s Strawberry Poppyseed Salad. It is hands down my favorite salad, and I look forward to Panera bringing it back each summer. 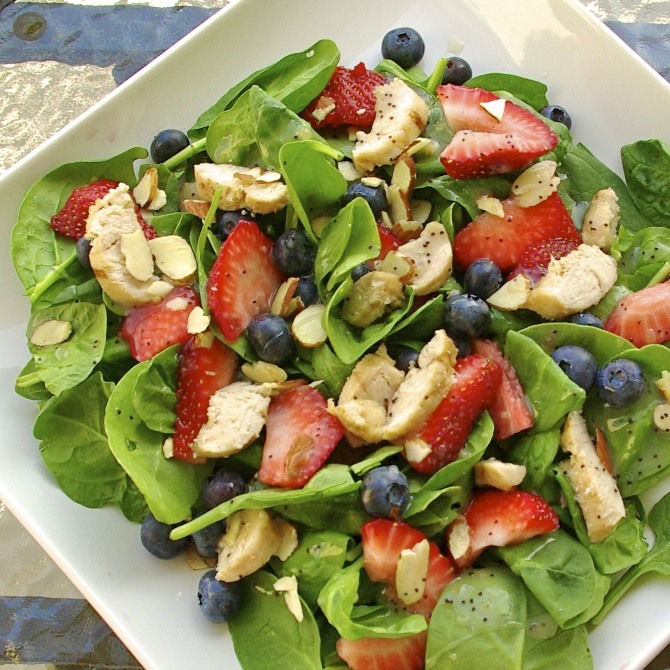 With juicy slices of chicken, crunchy bites of pecans, and a sweet explosion of fresh summertime fruit, this salad is amazing. I recently concluded that despite my love of this salad, however, it is probably best to avoid solely keeping Panera in business, and made my own version instead; I must say, it’s a pretty close comparison! 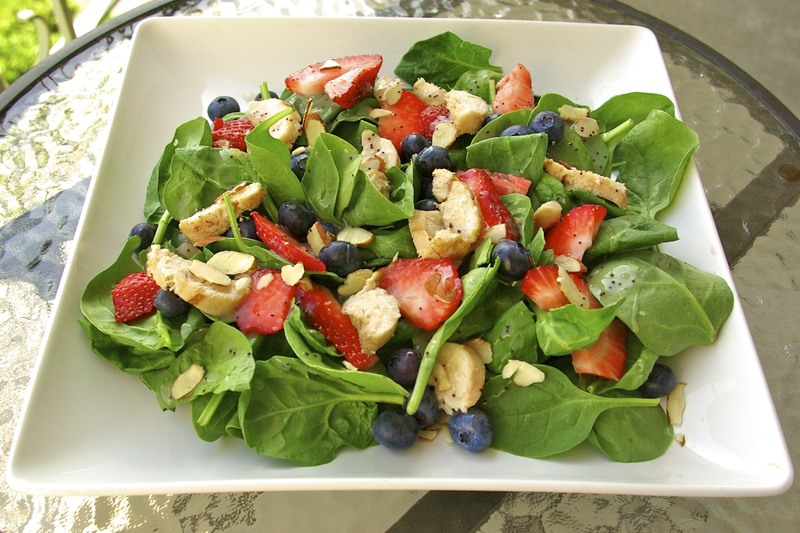 I kept the same fresh flavors throughout the recipe, but I substituted baby spinach for the traditional romaine lettuce, just to incorporate some extra vitamins and nutrients. You can either make your own poppyseed dressing (recipe below), or find a favorite at your local grocery store (there are some really tasty options out there). However you decide to dress it, this salad provides a light, refreshing, and satisfying meal that is perfect for lunch or dinner. Enjoy! Have you ever had the Strawberry Poppyseed Salad from Panera? Let me know below! If you are looking to save time, there are many pre-grilled refrigerated chicken options, which you can find near the lunch meat. The brands that come to mind are Oscar Meyer and Perdue. In a separate bowl, whisk together dressing ingredients. Drizzle desired amount of dressing over the salad and toss to coat evenly. Refrigerate remaining dressing for future use. Did their salad always have pineapple or did you add that in? I don't remember it. I love this salad too, it's a great refreshing meal. It definitely had pineapple in it. Are the calories the same in this recipe?